At AP-Networks’ User Conference, The Network Edge, you will get hands-on training on the AP-Networks Software Toolset. These industry-leading tools reside in three online portals—the Turnaround Network, Capital Project Network, and Upstream Network. More than 50,000 users spread across 400 facilities and 50 countries rely on the AP-Networks Software Toolset to optimize their project and turnaround planning, preparation, and execution efforts. The Network Edge is your opportunity to learn from AP-Networks software experts and leading users from across the globe, leaving with the knowledge and insight to wield these tools effectively at your own site. NaviTrack: This Industry-standard work process deployment and implementation system brings best practices to the desktop of every project and turnaround professional in the enterprise. 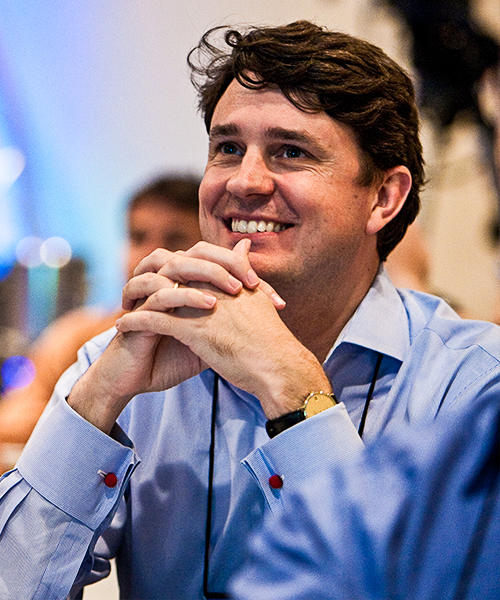 It has become the backbone of turnaround organizations the world over. Readiness Pyramid: This powerful self-assessment tool evaluates readiness by measuring planning status and team alignment. Industry leaders rely on this tool to pinpoint the gaps in their organization. Real-Time Benchmarking and Data Collection: This new addition to the AP-Networks Software Toolset allows users to upload turnaround data and instantly receive benchmarks comparing cost, labor hours, and peak labor to Industry norms. There’s nothing else in Industry that delivers the same real-time results. Those are only a few of the tools we’ll dive into at The Network Edge. Don’t miss this opportunity to get hands-on training, gain insight from experts and peers, and have your questions answered. The Network Edge is designed for users and potential users of the AP-Networks Software Toolset. Current administrators and frequent users of the Turnaround Network, Capital Project Network, and Upstream Network will find a wealth of knowledge that they can apply to their own planning and preparation efforts. Potential users will learn what’s possible when you have the power of the AP-Networks Software Toolset at your disposal. Using the AP-Networks Software Toolset more efficiently and effectively in your day-to-day job? An in-depth exploration of powerful tools like Deliverable Workflow, data export, custom report generation, and email report generation? Insights from AP-Networks software developers and trainers? Providing feedback to guide the evolution of the AP-Networks Software Toolset? If so, then you need to reserve your seat at The Network Edge. Go beyond introductory overviews to see the true capability of tools like NaviTrack as deployed by other owner-operators. The capability of the AP-Networks Software Toolset is unmatched by anything else in Industry. Simply put, there’s nothing else like it. And there’s never been an event like The Network Edge for learning how to maximize the potential of these tools at your own site. Education and Training: Gain knowledge of advanced features and how to use them to drive improvement and success at your site. Meet with AP-Networks experts and get your questions answered! Real World Case Studies: Case studies will demonstrate how the AP-Networks software toolset has been applied at sites across the globe to streamline day-to-day operations and achieve organization-wide gains. Collaboration and Information Sharing: Forge new relationships and seize the opportunity to learn from your peers. Add value to your organization by gaining insight on established best practices, along with tips and tricks from the experts. Visibility into Next Generation Tools: Be part of the inside track with information and demonstrations on upcoming features and enhancements to the AP-Networks Software Toolset. Train Your Colleagues: Present an internal training session to your colleagues highlighting what you've learned at the conference. Implement Information: Apply what you've learned to make a difference in how your organization uses the AP-Networks Software Toolset. Information you gain at The Network Edge can easily justify your attendance and the attendance of others at the conference! Download our justification letter to convince your boss of the benefits of attending this year’s conference! At The Network Edge, in between inspiring talks, there will be opportunities to reflect on what you’ve heard. Workshops and interactive sessions will run throughout the conference. Below you'll find the agenda for The Network Edge 2019. We'll update this page regularly with new speakers and sessions, so be sure to check back often! Evening social where attendees can network and get to know other attendees before the conference begins. Trivia questions – How well do you know the tools? During the registration process you will have an opportunity to influence the agenda by providing input on what tools you would like the conference to focus on, topics you would like to learn more about and what challenges you face in implementing or using the tools. Registration for the Network Edge Conference does not cover room reservations and/or travel expenses. The 2019 Network Edge Conference will be located in Galveston, Texas at The San Luis Resort, Spa & Conference Center. Click here to reserve your guestroom at The San Luis Resort, Spa & Conference Center for The Network Edge conference. Our special room rate for the conference is $189/night and is available until May 6, 2019. Discover unparalleled luxury at The San Luis Resort, Spa & Conference Center, a 32-acre, beachfront hotel and spa resort on beautiful Galveston Island, Texas. Recipient of the AAA Four Diamond Award® since 1999, The San Luis Resort offers the perfect Galveston hotel and resort experience with breathtaking Gulf views and the finest in hospitality, dining, entertainment and Galveston attractions. The San Luis Hotel, Spa & Conference Center also features a fully accredited IACC conference facility with 200,000 square feet of total meeting facilities. 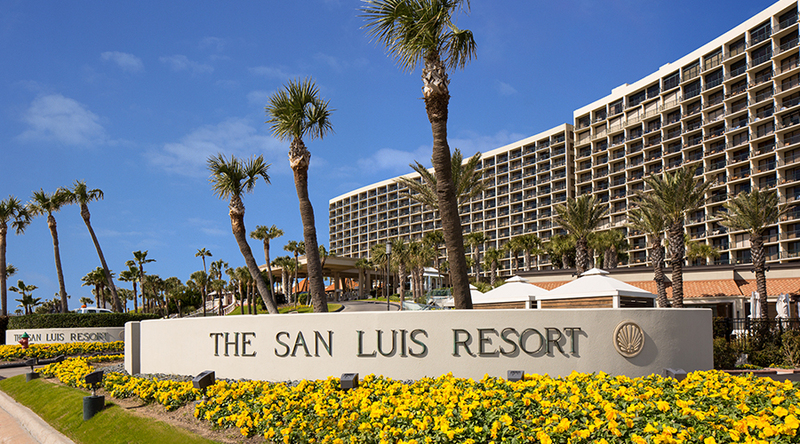 Please visit the The San Luis Resort, Spa and Conference Center website for more information.